Chances are that you’ve also observed this, or you’ve said these things yourself. It’s also likely that like most of them, many of you have also failed. I know in the past certainly have been guilty of this. So why do we fail to reach our goals when our intentions are so positive? Here are my top 5 reasons why we fail to accomplish our goals. Atkins, the Biggest Loser Diet, Paleo, the Caveman Diet and Spark Solution and Weight Watchers are all examples of fad diets that we’ve all heard of. Most of these FADS have a few key elements in common, such as increasing exercise and decreasing calories to lose fat. Most who begin to incorporate these kinds of lifestyle changes will feel almost immediate results. So what’s the problem then? Well, if it sounds to good to be true, it probably is! FAD diets do absolutely nothing to address the physiological-state-of-mind and do not promote behavioral changes. If you are “dieting”, there is not much room for error. If an error occurs, most feel completely broken from falling off the wagon. There is no picking ourselves back up again when on a diet. At Renegade, we believe in a balanced approach to nutrition that promotes making educated choices that allows for living a healthy lifestyle and attaining a healthy weight. People often think that joining a gym or a quality fitness program is expensive. This is simply not true. Many of us spend an average of $75 dollars per week getting coffee at the local Starbucks on our morning commute to work and going out to lunch. Without any thought at all, we don’t bat an eye at spending money on sugar filled beverages and carb-loaded fried lunches. But something happens in our thought process when making an investment in our health. Most quality programs can be afforded at under $60 per week. Why do we need to think so hard about making that healthy investment in ourselves? Do you see a problem here? Making the excuse of not having enough time to exercise is really lame and honestly very lazy. We live in a world where technology has made our jobs and lives so much easier and more efficient. Technology has changed the way we communicate, how we shop and how we operate and do business. No longer do we spend endless hours searching through the Rolodex to make our personal and business phone calls. Instead – we text, email, or instant message people on a daily basis, simply because we can. Think about how many hours a week this saves us. We all get tired but let’s be honest, we have plenty of time to find 4-hours a week to exercise. We all need to surround ourselves with positive people who are supportive and help hold us accountable to strive for our best. Just like we might have a team of colleagues at work who we collaborate with to get a job done, the gym should be treated the same way. However, you shouldn’t be just another number at the gym, you should be part of it’s community that not only receives support when you need it, but also gives it out. Align yourself with like-minded, positive people that will encourage you. Be a part of something where people are striving to achieve the same thing that you are. Be part of something that is bigger than you…Community! Most of us have grand intentions to accomplish our goals but where most of us fail is due to a lack of professional coaching, guidance and accountability. We all need professional guidance with certain things in our lives, myself included. Ask yourself if you need help? Are you being honest with yourself? Many of you may ask Google to be your expert, but you’ll find out very soon that you will be inundated with questions of Fact vs. Fiction. That’s why it is so important to find a dedicated group of fitness coaches and trainers within a supportive fitness community who can help guide, support and educate you throughout your journey. As trainers and coaches, we can help take the guesswork out of accomplishing your goals and keep you accountable! Do you need that? Be honest! Our 8-week body transformation program delivers all of that plus much more! Get more info at Get My 8-Week Body Transformation Information. I know there are plenty of places out there that offer good programs with great intentions and provide many of the things I just talked about. 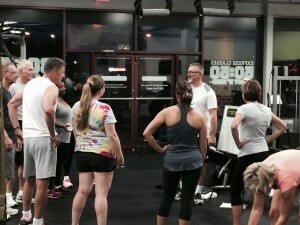 If you are looking for a quality program near the Eagan, Mn area and want to join the hundreds of people in our fitness community who’ve experienced our program, you should check us out and learn more about our next transformation program. We run high value programs that deliver amazing results when you are committed to making the necessary changes in your life! 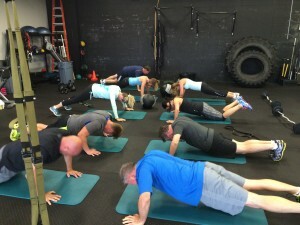 If you want to hear more about our Body Transformation Program, contact us at: Click here to learn more about our 8-week Body Transformation Program. Can Deadlifts And Broccoli Save Your Life?